Ferrari have stressed that their issuing of team orders is "not an easy decision", as the team elaborated on the reasons for the Charles Leclerc-Sebastian Vettel swap in the Chinese GP. 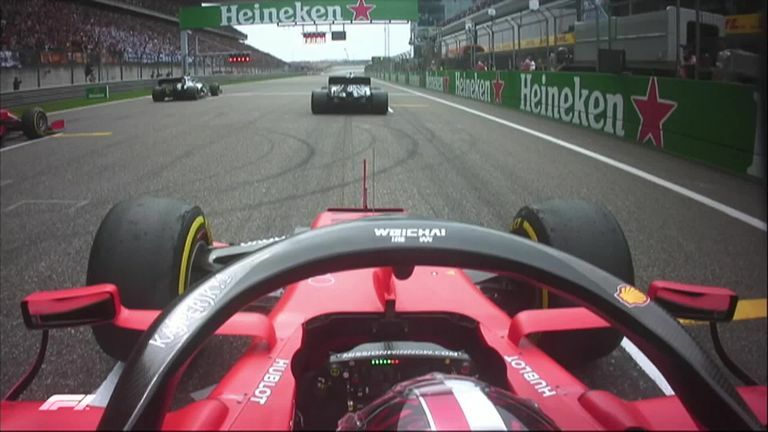 For the third time in as many races at the start of the season, Ferrari's pitwall issued a direct instruction to their drivers as they ran in close company on track, with Leclerc this time told to cede third position to Vettel on Lap 10 as Mercedes pulled away at the front. 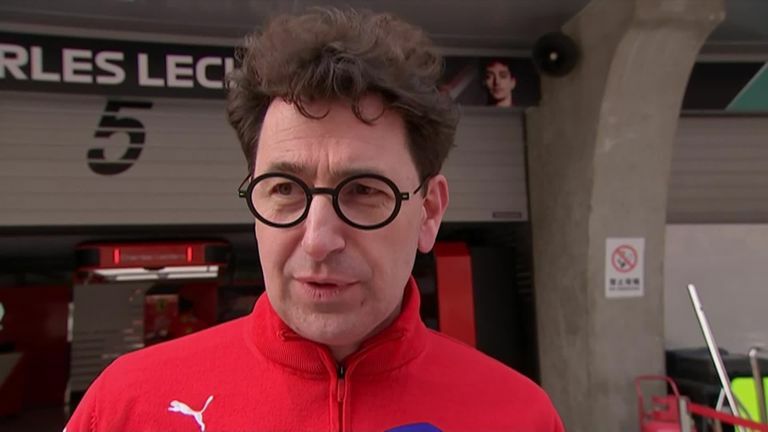 Mattia Binotto, Ferrari's team boss, said the team "tried everything we could" to put pressure on their rivals, ultimately to no avail, and said he understood Leclerc's frustration. "It's difficult as a team to give the order because we understand the drivers' need to battle to stay ahead as much as they can," explained Binotto on Sunday night. "It was certainly not an easy decision. I have to thank Charles, the way he behaved, again showing he is a good team player. "There will be a time when the situation will maybe be simple inverted. As a team we need to always maximise the team points and in that respect I think we did the right choice." 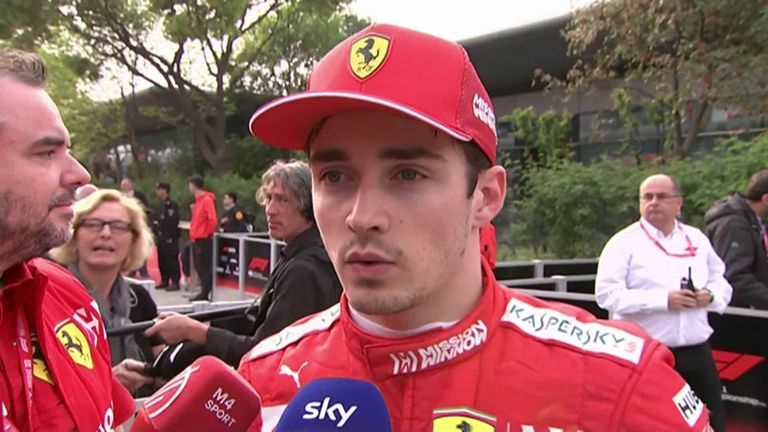 Leclerc, sitting alongside Binotto and Vettel several hours after the race in which he finished fifth, admitted he had been "frustrated" in the car at the time but, after hearing the team's reasoning in their post-race debrief, said he accepted the decision. Vettel, who finished third, also acknowledged the difficulty of the situation, but insisted: "The priority always lies within the team. Charles is aware, I'm aware, we are fighting for the team. We're fighting for our own race. "Usually with this kind of stuff it's never pleasant, but it's also what goes around comes around, but we have so many races only time will tell whether we did something right or wrong. "At the time you try to do what is right, I can see that is not easy for anyone involved, but we try to get stronger and fight Mercedes which are currently a little bit ahead. We need to understand why and work on that so we don't have to worry about these things." Should Ferrari continue to employ team orders? Although Ferrari had said from pre-season that Vettel would be given priority over his new team-mate in close 50-50 situations on track, Leclerc has posed a consistent and strong challenge to the four-time world champion in every race so far. So asked if, in certain situations, he thought similar team tactics would be the best way to win the title, Vettel replied: "I don't know, ask maybe Lewis [Hamilton]. I think Mercedes has been in a very different situation, but it's not the first time that we've seen something like that. "As Mattia said, we tried to do everything as a team. Two weeks ago Charles was faster and it was quite straightforward, maybe it was also a bit easier to pass in Bahrain. "The upsetting thing after the race is we didn't manage to finish third and fourth. "Obviously I want to be ahead of Charles, he wants to be ahead of me, that's the name of the game. But I'm not keen to expand much further because it's always a bit difficult, especially what you [the media] make of the answer afterwards, so I'll keep it there."